Columnar basalt breakwater. 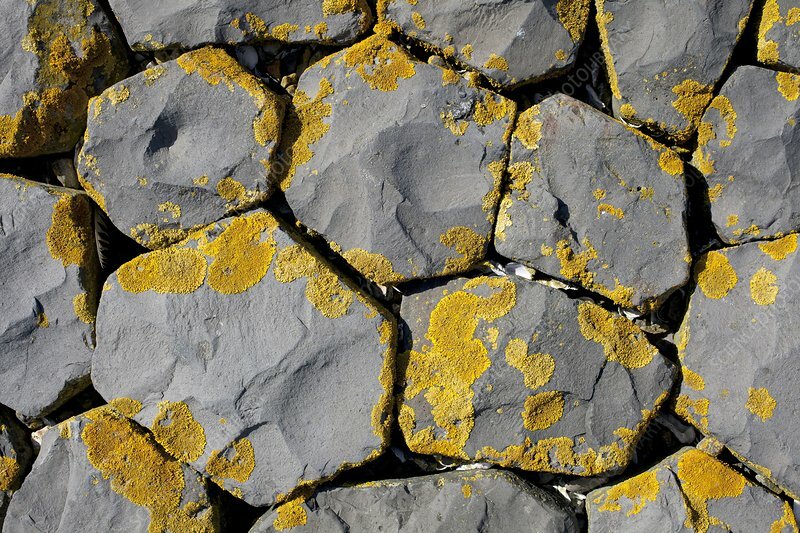 Close-up of columns of basalt being used to form a breakwater along the coast in the Netherlands. Basalt is a natural rock that occurs in many places all over the world. Thanks to their consistent six-sided (or more rarely five-sided) circumference, these columns provide a close-knit and durable construction material that is very good at resisting the sea. The use of this material is very widespread in the Netherlands.